Before I write anything about North Korea, I just want to make sure it is understood that I will be only writing aboutmy personal experience about being within the last communist state standing. 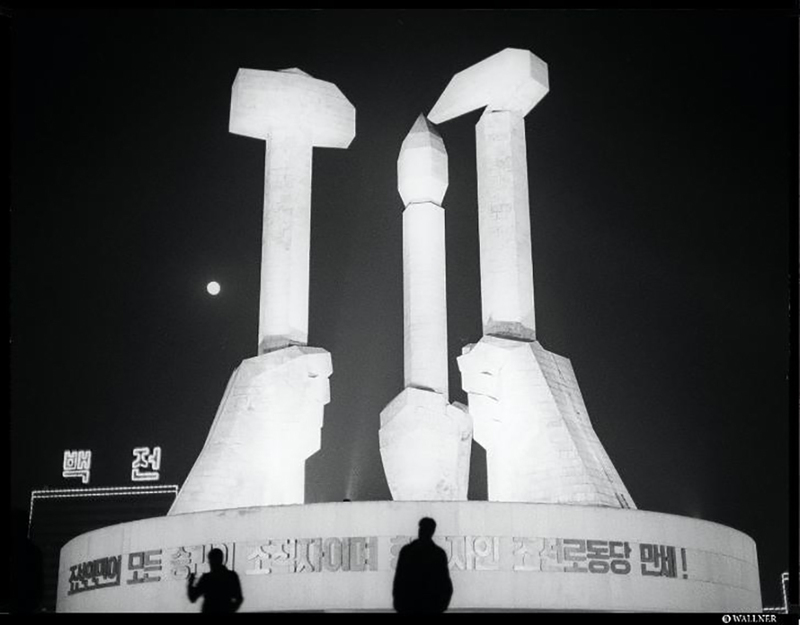 My intentions are not to mock or insult the regime nor the great leader, but to just showcase the unique experience from a perspective of skateboarders trying to skate above the 38th parallel. North Korea or also known as the DPRK ‘Democratic People’s Republic of Korea’, has been one those places that I remember joking about, saying “I guess that is one of those countries where I won’t be able to go unfortunately!”. But while I was in China this summer, out of curiosity I google’d ‘visa for North Korea’ and was stunned to discover it could be possible to enter. 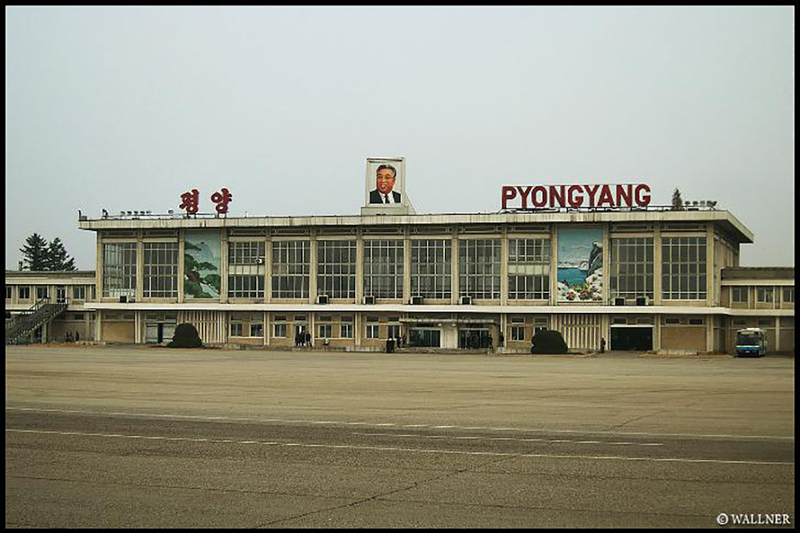 From that point on, the thought of trying to skate the DPRK was implanted in my mind and wouldn’t vanish. After a bunch of phone calls, e-mails, signing papers, it was on! Kenny Reed came along. I would have loved to document our short trip to the DPRK, but the use of any professional video cameras within the country is strictly forbidden. So Kenny & I had to satisfy ourself with the mission to enter North Korea with only our photo equipment and somehow try to skate the streets of Pyongyang. Besides video cameras, it is also prohibited to bring in your cell phone, use the Internet, watch international news, take photos without prior permission, talk to local citizens or civilians and of course leave the guided tour at any moment. We were being monitored by a guide and secret police at all time, who are there to make sure you obey the laws and wouldn’t document anything in harm of the image that North Korea tries to portrait itself to the outside world. It is bizarre at first, but after the second day you get used to it, and just have to except that this is the only condition you are able to visit the DPRK. The four day trip within North Korea is planned out in advanced. 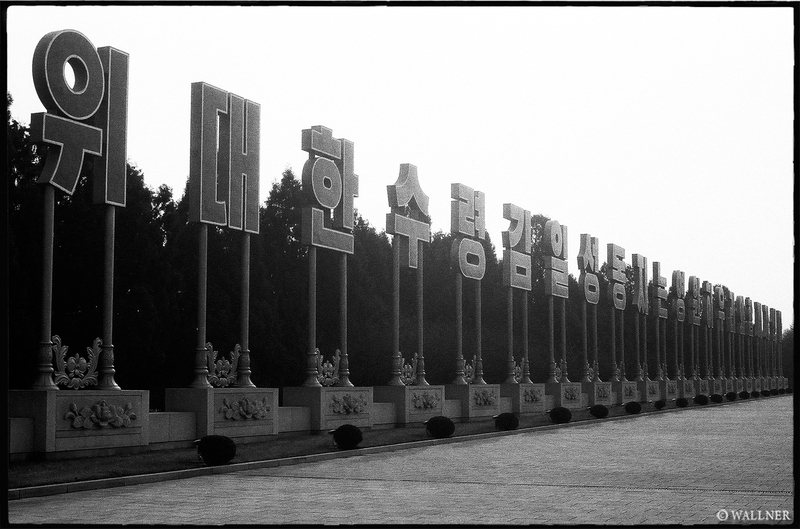 Straight off the bat, on the first day we got taken to Kim Il-sung’s mausoleum, where he lies since his death in 1994. North Korea is very unexplainable, but to somehow understand how the last communist state standing is still on its feet, one must go back to where it all started. 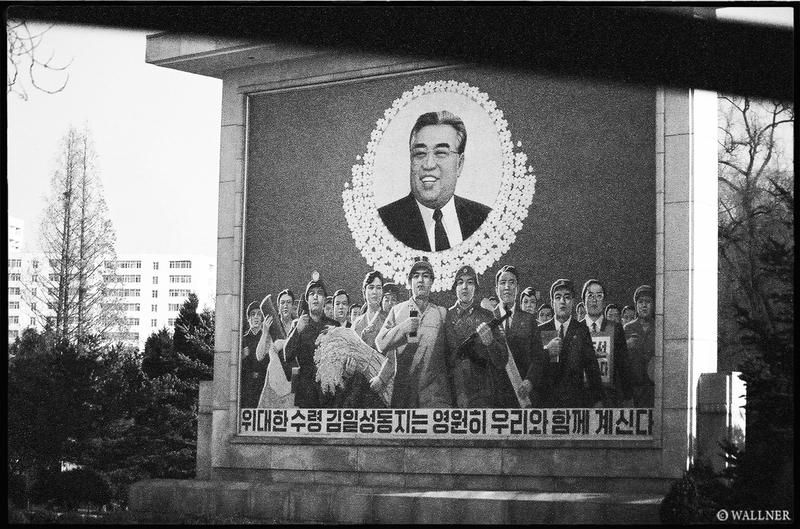 As much as Kim Il-sung is criticized, he is quite a fascinating person, actually a mastermind for the twentieth century. 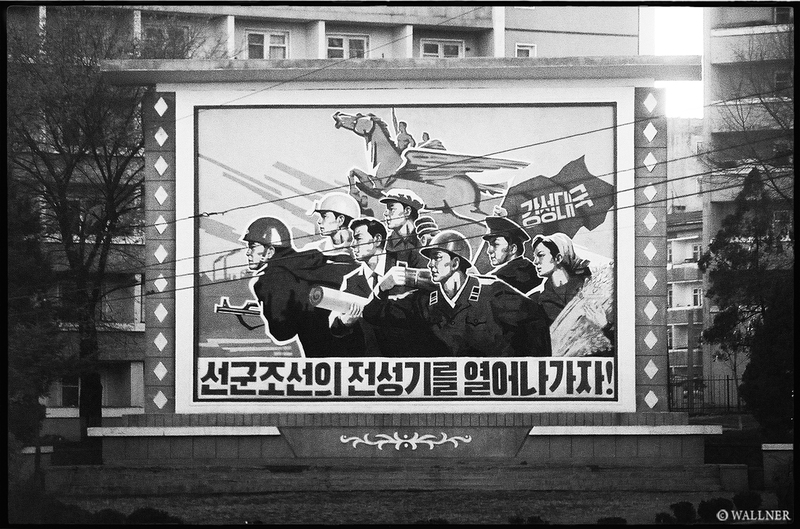 After the establishment of the Workers Party of Korea in 1948, and the separation of the south resulting from the Korean War in 1953. His juche belief of ‘self-reliance’ led the north of being much more developed and successful for almost two decades after the split on the 38th parallel. He didn’t just promote communism, but got farther than any Marxist leader has to structuring a society under the principle of sharing wealth within the nation. To this day (now under the leadership of his son, Kim Jong-il) North Koreans worship his teachings and belief like a religion, he is praised like god, and everything revolved around the ‘father’, Kim Il-sung! 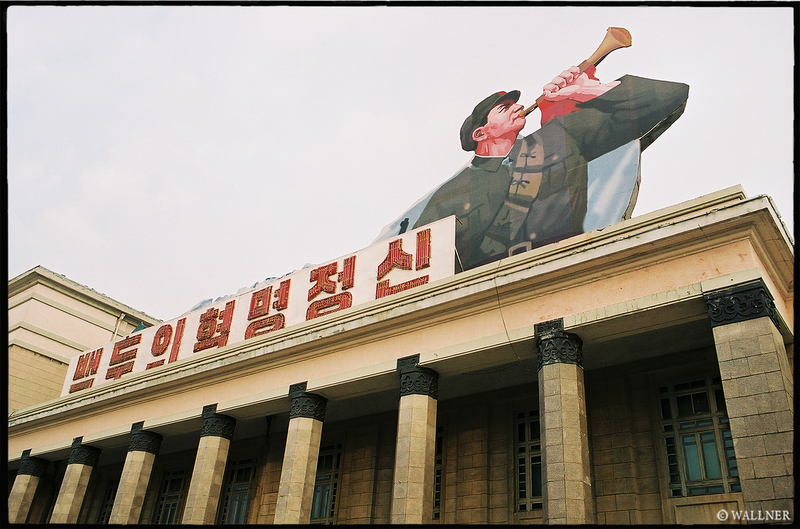 Throughout Pyongyang and the rest of North Korea, you can’t go a mile without seeing Kim Il-sung’s face portrait somehow within a propaganda poster, statue or monument. At some point in history everyone was forced to wear a pin with his face imprinted on it on their chest placed over the hearth. As well as to have a portrait placed in your living room, which was checked by the government every once in a while, to make sure that it was dust free. But even more astonishing and almost the most interesting part of being in North Korea for me is passing through the city and realizing that there is no such thing as advertisement within the DPRK. And by no advertisement, i mean absolutely none. Anywhere else in the world, even a couple kilometers down from the 38th parallel in South Korea, where capitalism is in full effect, advertisement, billboards, commercials, are in the norm. It just doesn’t exists within North Korea, which makes it quite a lovely & relaxed place for someone like myself who is not a big fan of shopping. North Korea has a population of a bit over 24 million people. Around one million of them are enrolled within the Korean People’s army, and another 8,2 million are in reserve. Meaning that almost half of the North Korean population is somehow tied to the Army. 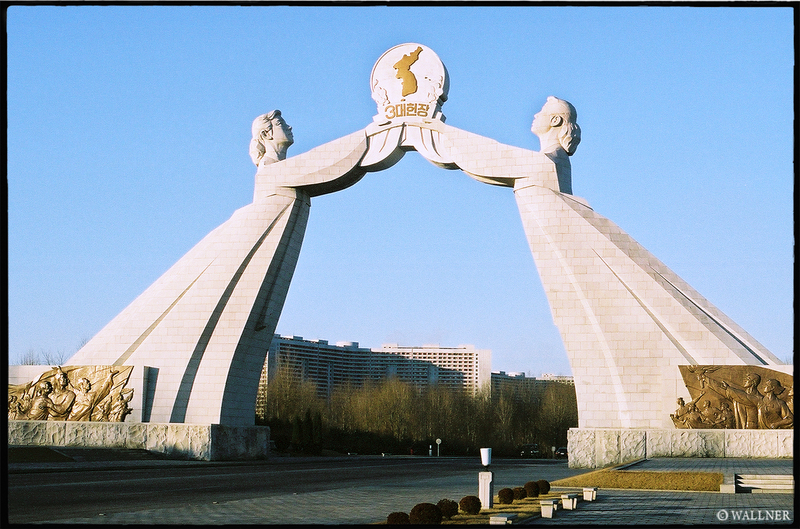 While we were driving through Pyongyang, Kaesong & Myongyang we would see teenage boys & girls jogging down the street with machine guns tied around their shoulders. Even though North Korea is the least visited country in the world, tourism within the DPRK isn’t as rare as everyone thinks. Over a thousand or more go per year, mainly Chinese, Japanese or elsewhere from the west. The North Koreans hate the Japanese and also very much dislike the Imperialist Americans. But when getting guided through the streets of Pyongyang you don’t get the vibe that the people are in hatred towards you, besides some older women or men who can’t forget the Korean War or the Japanese annexation. I felt like some of the people were very curious and would of loved to have a chat. But the government has such a tight grip around the people, that it wouldn’t cross their mind trying to approach you in any way and ask us any questions. Especially after seeing Kenny skate, people were just curious why an American Imperialist would jump down an eight stair fifty times and not even get close of rolling away. But the excitement of kids seeing a skateboard for the first time is the same in every nation. 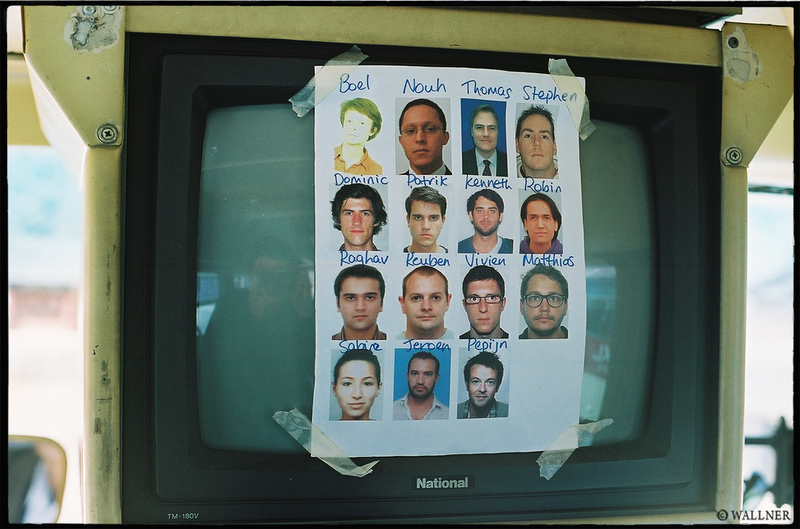 Before the Japanese brand ‘Panasonic‘ was as household name, it went under ‘National‘, just like the TV used here to tape a list on top of it with all the names & pictures of the guests to the DPRK within my guided tour. Mostly consisting of Dutch, American, Swedish, Australian, French, Indian, British, Moroccan and Hungarian. Communism is only an ideology of a fully functioning socialist state, which could never existed in this world, not even in North Korea. For communism to work, everyone shares the wealth of the nation. The ones that would earn more would distribute their wealth to the lower class. Since greed and success among others is a natural human behaviour, it is impossible to have everyone equal and working for one another. But like I mentioned the DPRK is as close as any country got to establishing such an environment. Until 2002, North Korea was not using a currency. Coupons were distributed which would supply each member of the family with certain amount of grams of rice per year, as well as cloth, books, etc. Using the public transportation is free. Since the bus and tram is packed most of the time, using the subway is a nice substitute. On our tour we were allowed to take the Metro for one stop. 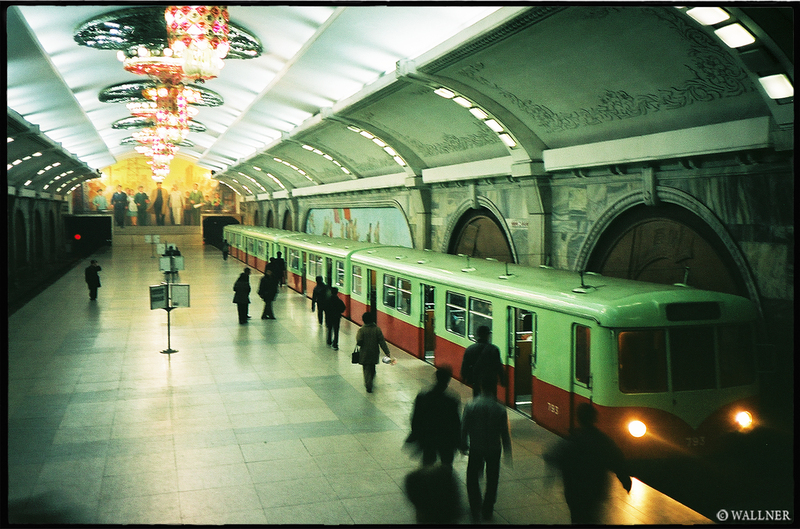 Scrolling down the escalator and slowly getting exposed to the most luxurious looking station that one could imagine, really makes the metro system in ex-soviet Moscow look like a joke. 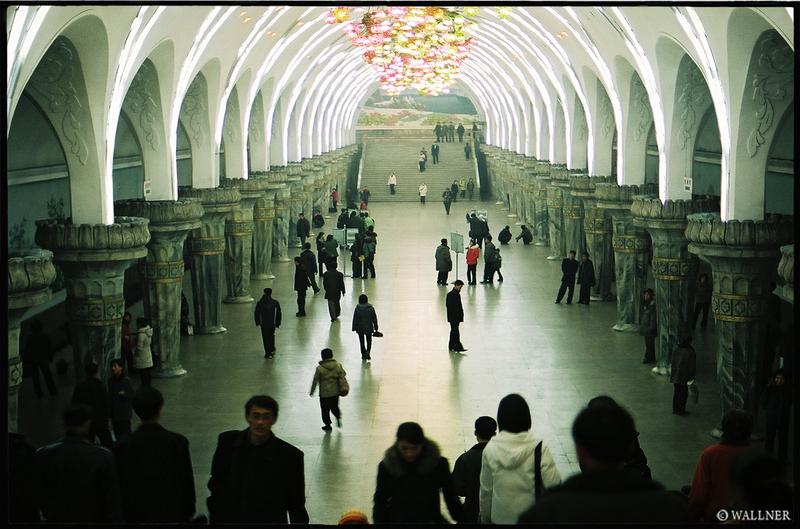 The station is brightly lit, with hammer, sickle and paintbrushes engraved in mosaic tiles. We were only allowed to take the metro for one station to the next, not knowing if the glamour succeeds the past dozen stations past the center of the city. Taking the metro was the first time on this trip where we were close to regular people and were able to make some eye contact. We amused ourselves by giving out a nod or a smile and then observing who would give one back in return! After the quick Metro ride we were taken to Kim Il-sung Square. A huge area in the center of Pyongyang were on Sunday one could find some kids in-line skating, similar to Ulan Bator’s Sükhbaatar Square in Mongolia. Since we saw kids on in-line skates, it was the perfect opportunity to ask our guide for a quite skate. We didn’t get much time, but we were able to shoot a nice photo of Kenny skating down an empty eight lane street. Check Transworld Article. 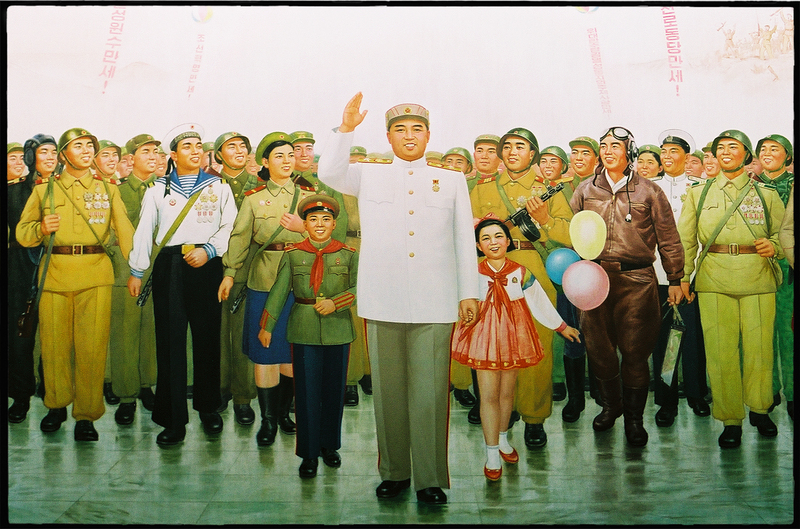 A younger Kim Il-sung followed by the Korean People’s Army. 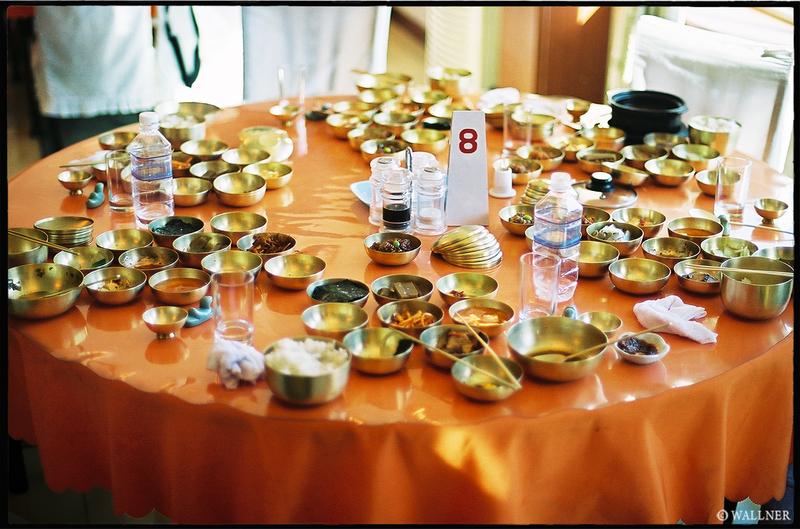 Food is not an issue for tourists in the DPRK, but it was for North Koreans after the fall of the Soviet Union early 90s. 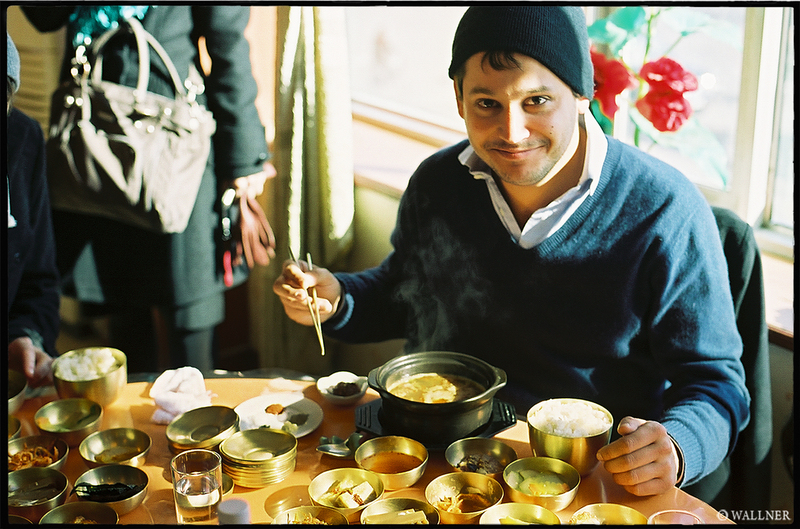 French man Matthias trying Bosintang which is dog meat soup, later changed to sweat meat soup by Kim Il-sung to make it a bit more appealing for foreigners. North Korean girls working at the restaurant in Kaesong. Read ‘Nothing to Envy‘ by Barbara Demick, extremely recommendable. 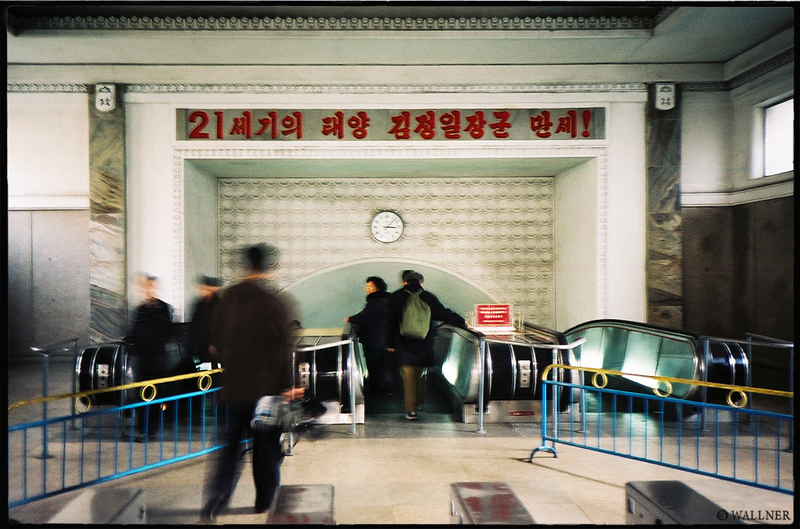 She covers a lot about North Korea, in particular real stories of romance within the DPRK. 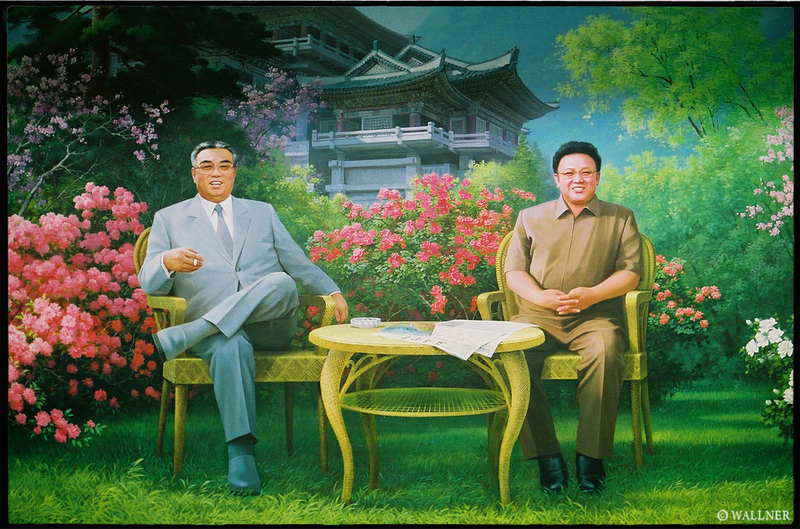 The father, Kim Il-sung (left) has been dead since the mid 90s. But he is still considered the president since the start of the Workers Party, which is known as a thanatocracy. 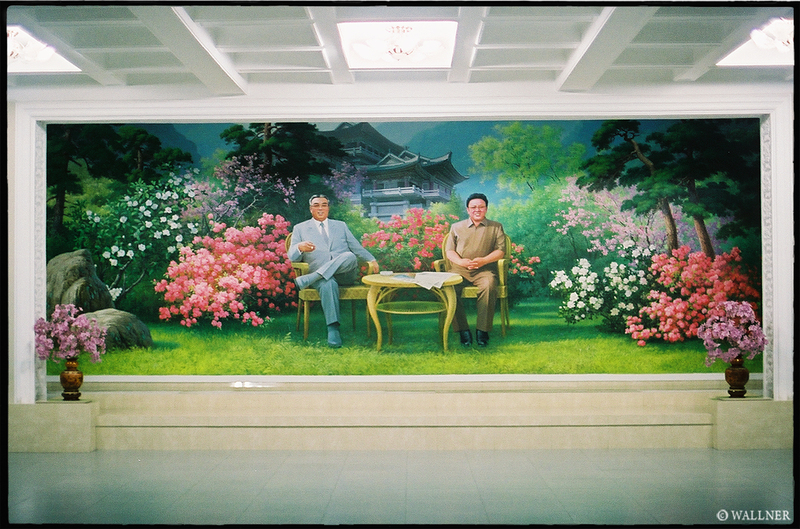 At the moment, his son, Kim Jong-il (right) is the great leader, but is in poor health at the moment. He has three sons that could take on the leadership. His eldest son would of been the optimal successor. But he was caught going to Disneyland in Japan with a fake passport, which didn’t work so well with the teachings of grandpa. The youngest son, Kim Jong-un will be the new leader. 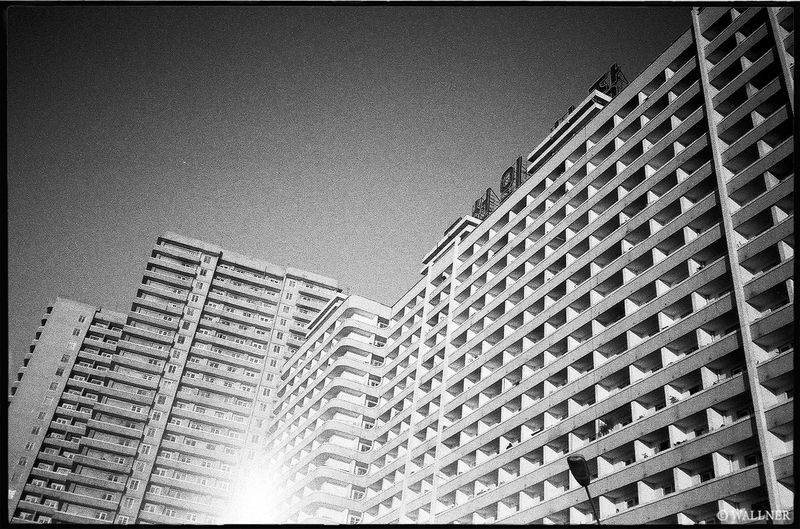 Glamorous architecture on empty roads is just one of those things which is mind-boggling about North Korea. 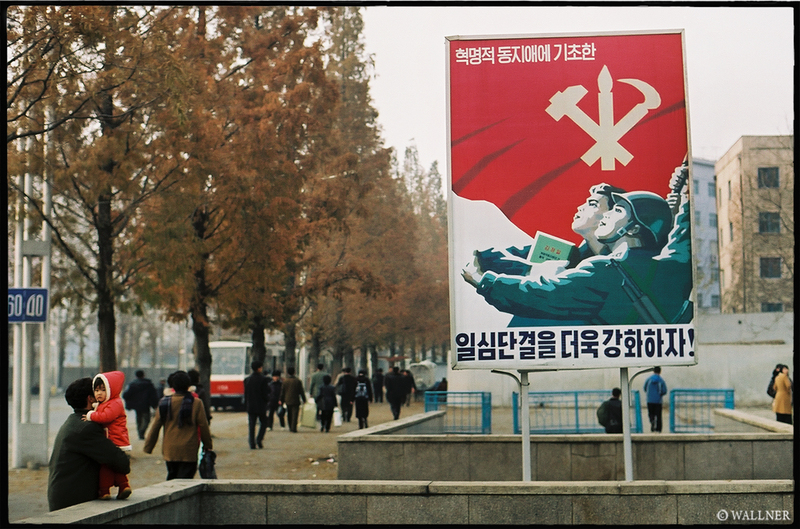 More on the Democratic People’s Republic of Korea in the next photo update!